Payments and Deliveries - Persian Rugs Online - West End Co.
Our Payments and Deliveries Policies may change from time to time. Such changes are applicable to all the purchases made after the date of change of our our Policies. We currently accept payments through PayPal: Australia’s favourite way to pay online. PayPal is a fast, easy and safe way to make payments online and on your mobile phone. PayPal also accepts secure credit card payments. 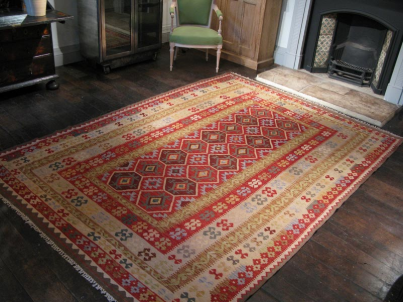 Full payments of our rugs must be made before they are delivered. We currently provide free shipping for all of our products to any valid Australian Street Address (we do not post to PO Boxes). All prices of each of our products are GST inclusive. For international orders, please contact info@westendco.com.au for a quote. When it comes to delivery within Australia, delivery times take approximately 2 and 10 business days, depending on the destination. A member of the West End Co. support team will inform you if there are any unexpected delays and can keep you informed regarding the delivery status of your order. Each delivery should include an itemised Tax Invoice. For international deliveries, please contact info@westendco.com.au for a quote.